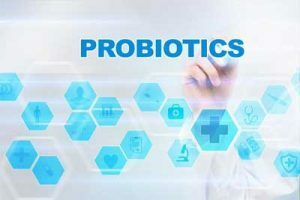 Probiotics are live microorganisms presumed to have health benefits and include foods such as yoghurt, drinks and dietary supplements used orally, such as skin creams. These microorganisms are not harmful “germs,” but they are beneficial microorganisms and help our bodies function properly. There’s preliminary evidence that some probiotics are helpful in preventing diarrhoea caused by infections and antibiotics and in improving symptoms of irritable bowel syndrome but studies are on to find out its beneficial effect in other diseases. Providing probiotics supplementation to infants both in utero and/or after birth (through 6 months of age) reduced the incidence of atopic dermatitis (AD) in them compared to controls, according to a recent study published in the American Journal of Clinical Dermatology. Probiotic supplementation in early life may be effective in preventing AD, however, results regarding efficacy have been controversial. Lin Li, Department of Gastroenterology, Yijishan Hospital of Wannan Medical College, Wuhu, China, and colleagues conducted a systematic review to investigate the effect of probiotic supplementation on the risk of AD. According to the authors, the rate of atopic dermatitis has increased worldwide in recent years, with a prevalence of 10% to 20% in children. The researchers searched for databases up to 8 March 2018 for potentially relevant studies regarding probiotic supplementation and AD. It included infants and children were those with probiotic exposure in utero and/or after birth who were not previously diagnosed with AD. A total of 28 studies met the inclusion criteria. Also Read: Are Probiotics actually as good as claimed? Compared with controls, probiotic treatment was associated with a reduced risk of AD. The use of probiotics during both the prenatal and the postnatal period significantly reduced the incidence of AD; however, analysis of studies of probiotics given prenatally only or postnatally only did not reach statistical significance. Atopic dermatitis occurred in 1,023 of 3,595 patients who received probiotics vs. 1,150 of 3,312 patients in the control group. The specific probiotic strains of Lactobacillus, Bifidobacterium, and Propionibacterium appeared to reduce the risk of atopic dermatitis. “Our meta-analysis showed that probiotic supplementation during both the prenatal and the postnatal period reduced the incidence of AD in infants and children,” wrote the authors. “Our findings suggest that starting probiotic treatment during gestation and continuing through the first 6 months of the infant’s life may be of benefit in the prevention of AD,” they concluded.